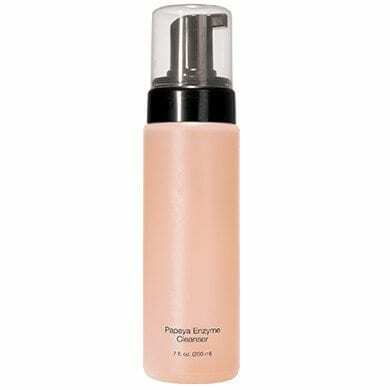 What It Is: Gentle foaming cleanser with Papaya Extract. Lifts away makeup and impurities, helps remove dull surface cells and create a brighter, smoother complexion.Paraben-free. What’s Inside: Papaya (Papain) Extract helps eliminate the surface dead skin cells that make skin appear dull and cloudy. Geranium & Cucumber Extracts stimulate and hydrate sluggish, tired skin. How To Use: AM/PM. Pump 3 puffs into palm. Massage over moistened skin. Rinse with warm water. Pat dry. Follow with toner.